The complete 3-step hair and scalp treatment program for stimulating existing hair growth in the privacy of your own home. Our Hair and Scalp Fitness Range provides an easy-to-use step-by-step product that can assist in hair loss by promoting and safeguarding the health of your scalp. The unique combination of laser, Serenoa and antioxidant stem hair loss by activating the follicles, thickening the hair shaft and counteract the effect of an unhealthy scalp and weak hair growth. 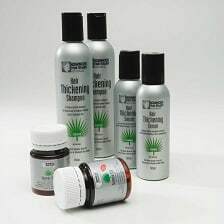 All you have to do is follow the steps outlined in the range, and you’ll see your scalp health improve. 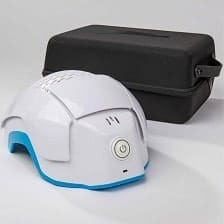 A hands-free cordless device that requires only two 20-minute treatment sessions per week. Advanced Hair Clinic’s Hair Fitness range containing Serenoa is the second step in your hair regrowth and fitness program. Serenoa has been clinically trialled, and 85% of users reported no further hair loss. 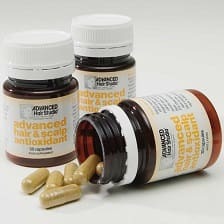 * The Advanced Hair Clinic Hair Fitness range also contains Panthenol and Wheat Amino Acids to thicken and provide greater flexibility to the hair shaft. * Based on a 16 weeks independent clinical trial in Australia’s leading Medical University. Antioxidant counteracts weak hair and an unhealthy scalp. Antioxidants have already proven to be useful in a wide variety of situations. With Advanced Hair and Scalp Antioxidant hair regrowth tablets, the third step in the program, you benefit from a product specially formulated to promote the growth of strong, healthy hair and support the health of the scalp. What is Serenoa? It has been discovered that an oral dose of a naturally occurring herb known as Serenoa inhibits the action of 5-Alpha Reductase, reducing the production of DHT and hence attacking the principle cause of hair loss. Advanced Hair Studio Serenoa 320 is among the first hair loss treatment products to contain Serenoa, designed to stop further hair loss -in both men and women. Our hair growth products have helped over 500,000 men and women to regrow their hair around the world. Our hair loss products are based on the latest technology and advancement and informed by our expert hair loss doctors to create products for thinning hair that work and deliver the results that our clients expect.